• October 18, 1931, The New York Times, John Kieran’s “Sports of the Times” column: This column is a hodgepodge of disparate items, the first of which is about the Army football team’s uniforms (the practice unis were heavier than the game-day attire, so the team would feel lighter and faster) and footwear. Details here. 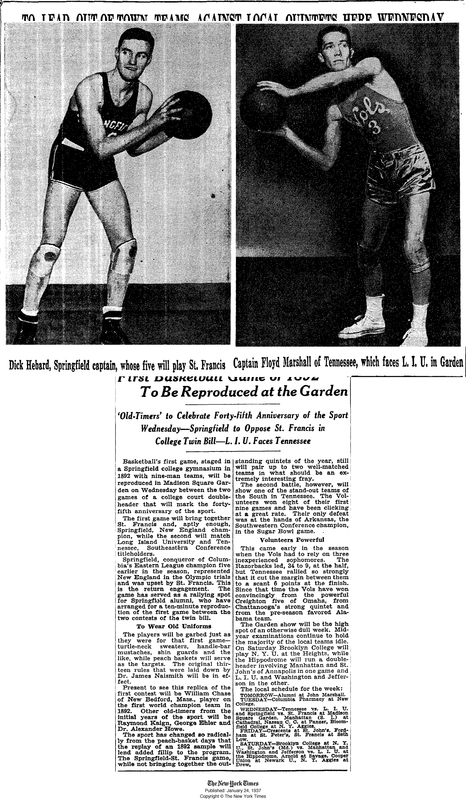 • January 24, 1937, The New York Times, “First Basketball Game of 1892 to Be Reproduced at the Garden”: Could this have been the first throwback game? The story describes plans to celebrate basketball’s 45th anniversary by staging a re-enactment of the first game ever played. According to the article, “The players will be garbed just as they were first that first game — turtle-neck sweaters, handle-bar mustaches, shin guards and the like, while peach baskets will serve as the targets.” Full text here. • July 30, 1943, The Sheboygan Press, “Sports Uniforms of Nylon Will Be Used After War”: Nylon was hard to come by during World War II, because most of it was reserved for making parachutes, tents, ropes, and other military provisions. In this article, the DuPont company, which developed nylon, forecasts that the material will become common in sports uniforms once the war is over — a prediction that turned out to be correct. • December 14, 1946, The New York Times, “Expanding Demand Seen for Uniforms”: This article describes a speech given at the annual dinner of the National Association of Uniform Manufacturers (could someone please build me a time machine, so I can attend? 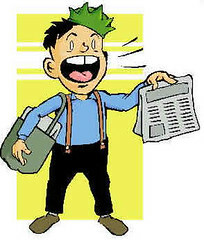 ), where an industry executive predicted that uniforms would gain great prominence in coming years. He was mostly talking about service uniforms, for repairmen and the like, not sports unis, but it’s still pretty interesting. Look here. • August 30, 1959, The New York Times, Letter to the Editor: Hilarious letter from a recent immigrant who “[can’t] help wondering why the umpires are forced to carry out their respective duties dressed in black suits that look heavy, uncomfortable and — pardon me — somewhat silly in the grueling heat of a three-hour game.” It would be another decade before umps stopped wearing neckties, and much longer before the letter-writer’s suggestion (“a lightweight, loose-weave shirt and summer slacks”) became the standard that we now see today. Full text of the letter is here. • January 11, 1961, Ironwood Daily Globe, “Tigers Change Uniform Style”: We’ve discussed several times how the Cardinals’ birds-on-the-bat logo took a one-year hiatus in 1956. A similar situation unfolded in Detroit in 1960, when the Tigers replaced their old English “D” with a “Tigers” insignia. That experiment lasted only one year, and this article describes the move back to the “D” logo. Look here. 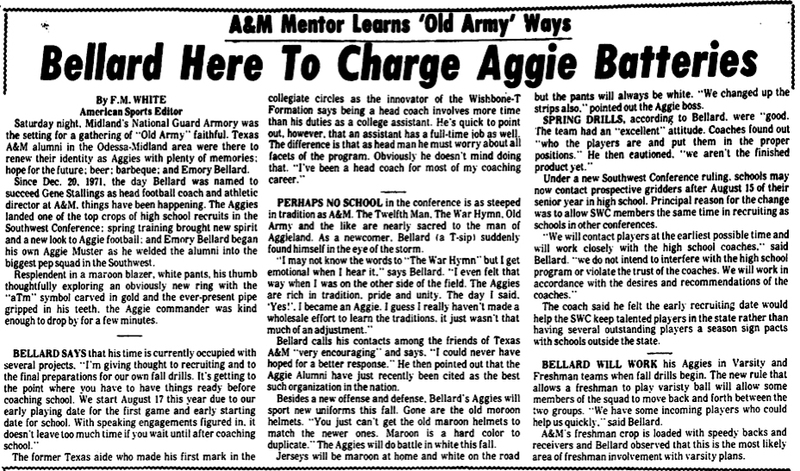 • July 30, 1972, The Odessa American, “Bellard Here to Charge Aggie Batteries”: This article is about Emory Ballard, then the new football coach at Texas A&M. Amidst lots of other Aggie chatter, there are two paragraphs devoted to the team’s new uniforms, including news that the team would be wearing white helmets, because “maroon is a hard color to duplicate.” Full text here. 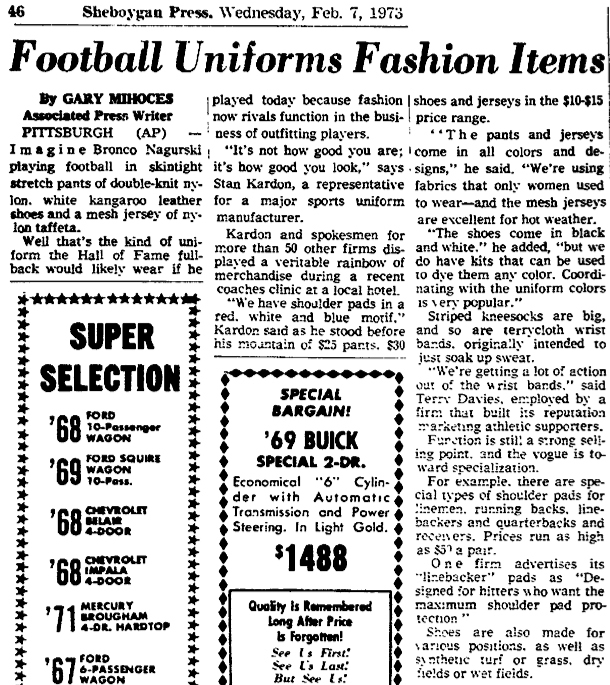 • February 7, 1973, Sheboygan Press, “Football Uniforms Fashion Items”: Fun article about the latest in “modern” football attire. Key quote: “Striped kneesocks are big, and so are terrycloth wrist bands, originally intended to just soak up sweat.” Full amusing details here. • February 5, 1974, Winnipeg Free Press, “Als Will Try Popular Colors”: Really interesting article about how the CFL’s Montreal Alouettes planned to switch their color scheme to red, white, and blue, because that’s what the city’s more popular teams — the Canadiens and Expos — were wearing. Kind of amazing to think that the Expos were more popular than, uh, anything. Also discussed in the article: the Als’ new logo (apparently this one). Full text here. My continued thanks to Doug for all his great archival research. Seattle Update: Next week’s Uni Watch gathering in Seattle will take place on Friday, March 14th, 7:30pm, at the Pyramid Alehouse. Looking forward to meeting lots of you there. In other administrative news, you may have noticed that we have a new advertiser at the top of the page: Black Fives. In what I consider to be very classy move, Black Fives prexy Claude Johnson has configured the ad to link to the company’s home page, not to its merch page, so he’s looking to spread awareness, not just to sell stuff (although he’s certainly got plenty of stuff to sell). Claude’s Black Fives blog is a consistently good read, and I’ve been very impressed by my interactions with him. He’s documenting an important and overlooked chapter in sports history, and I hope more people will get hip to what he’s doing. Uni Watch News Ticker: The Brett Favre tribute-a-thon has spun so far out of control that I’m half-expecting the Packers to be wearing a memorial patch for him next season. ”¦ Fun rumination on NFL typography here ”¦ A Cleveland inventor has come up with a visor designed to keep your eyes focused on the rim, not on the ball. Details here, and the inventor’s site is here (thanks, Vince). ”¦ Reprinted from yesterday’s comments: Is a Colts soap dispenser the one thing that’s really been missing from your life? Then the NFL Hardlines VI Trade Show is for you. Details here, and there’s a photo gallery of dubious products here. ”¦ Stirrups alert from Yankees camp: Ian Kennedy. ”¦ Speaking of the Yankees, they played a navy-vs.-navy game against the Twins yesterday, while the Rockies and Chisox went black vs. black. ”¦ If you don’t like mandatory helmets for baseball coaches, you might not like this either (with thanks to Ryan Connelly). ”¦ “I received an e-mail today telling me I could order a commemorative jersey for the 20th anniversary of the Great Ohio Bicycle Adventure (GOBA),” writes David Ballenger. “I don’t even know where to start with this horrid design. How long do you have to be riding directly behind someone to have the time to read a paragraph on the back?” ”¦ Good video here on the Canadiens’ equipment manager and arena staff. Only catch: It’s in French. Still, there’s some pretty cool visual footage (with thanks to Jean Gagnier). … align=”right” padding-left=”10px” FREE! : this and this. Naturally, I approve of all the green, although I kinda miss the silver. Additional details here and here. ”¦ This year’s MLB undershirt template from Nike will apparently look like this. ”¦ According to this page, “[Tiger] Woods donned a batting helmet and Braves jersey (tucked into shorts) and stepped into the batter’s box when [John] Smoltz threw three simulated innings at Disney’s Wide World of Sports.” No word on whether Woods insisted on a swoosh-emblazoned helmet. 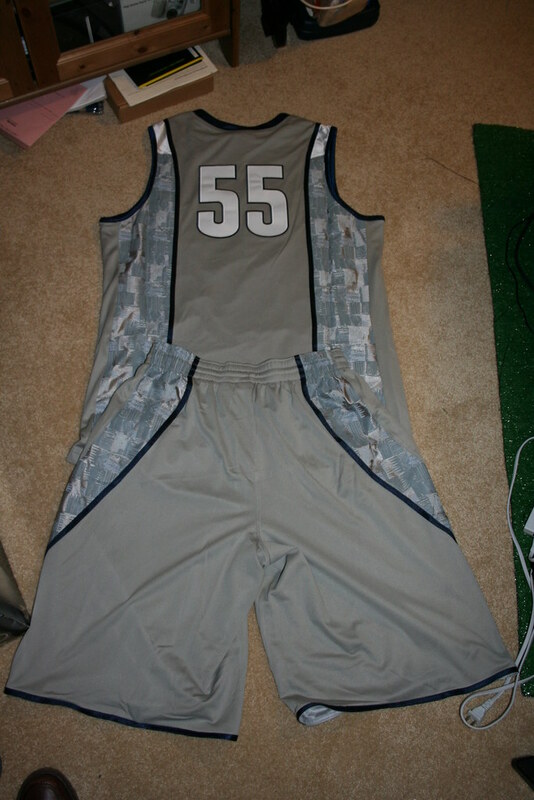 ”¦ Nick Waters took some photos of Georgetown’s new SOD uni (additional pics here). “Not sure if they’ll debut them on Saturday or at the Big East Tournament next week,” he writes. … Minna H. reports that the Minnesota high school state hockey tourney is underway, with plenty of interesting uni designs. There’s a full gallery here. ”¦ Yee-IKES (horrifying find by David Sonny). … Shorpy continues to delivery the goods. Note the lack of uni numbers and the ump’s backwards cap. ”¦ Reprinted from last night’s comments: The Yankees’ official retired numbers page shows Yogi Berra wearing a Mets cap (which of course pleases me no end). Doesn’t the NFL typography site know that every ‘Skins jersey ever shown HAS to be #21 Sean Taylor. I think that act was passed by Congress or something. 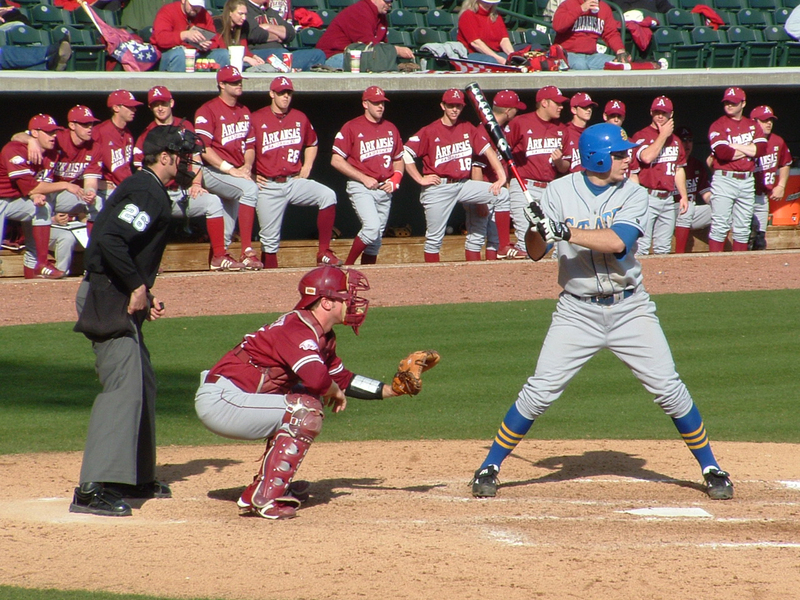 South Dakota State played at Arkansas yesterday and wore some pretty sweet stripped stirrups. Check out a take on the Mets and luck here . Apparently jinxing isn’t just for sports anymore. Those Georgetown SOD uniforms must be replicas. The size on the tag is shown as “XL”, and the Jumpman logo is next to the collar. There’s also a Â® symbol just to the right of the Georgetown name on the front. This probably wouldn’t be there on the game-ready jersey. Oops. Editing error–meant to include the Cubs cap in the cartoon also. For the second consecutive game, the San Jose Sharks wore white at home, forcing the visiting Ottawa Senators to wear red. Is there a revolution swirling in the Shark Tank? Neck protection? It’s mandated by USA Hockey for all High School and Amateur teams, it was always funny to see everyone try to get away with not wearing a neckguard. Some would make it real loose so it would fall off immediately, some would blatantly go sans-neckguard, one kid wore a headband on his neck. I was a goalie and usually got away without having one (I wore a throat protector off my mask). Eventually I think you got a 2 minute minor penalty if you were caught without a neckguard. It will be interesting to see how the OHL enforces their new rule. Love that Als’ logo. Vince Ferragamo lives! I know that most people who read this will already know about the new NFL shield logo that they’ll transition to this offseason. I’ve been curious about when they’ll actually move to the design on NFL.com and, although it hasn’t happened yet, I did notice that in the upper right corner of the page, where you’re encouraged to “Follow the offseason on NFL NETWORK”, the Letters in the NFL Network’s logo are the new version. With my curiosity peaked I went to the main NFL Network page and found that the logo there hasn’t been updated yet. If this has been posted already I apologize. I’m probably the only one who thinks so, but I like the half and half Hawks jersey. It is nice to get both home and away in one package. Of course, it would look better if it was manufactured instead of homeshopped, but c’mon. It isn’t that bad, there are plenty of worse looking things in the NHL this year. I’d enjoy it if my Oilers wore that on the ice, at least it wouldnt look like pyjamas. Any idea what happened with obamaofdreams.com? I was looking forward to ordering a Philadelphia and Cleveland shirt. The new NFL logo is supposed to go live at the draft. [quote comment=”234318″]Any idea what happened with obamaofdreams.com? I’ve been wondering the same since yesterday. I ordered a ChiSox and a Milwaukee shirt. The former to ship on the 15th, the later on the 30th. I’m afraid that they might have run into legal issues and been shut down. Yesterday, before total shutdown, they had a redesign of the STL shirt, sans birds. [quote comment=”234314″]I’m probably the only one who thinks so, but I like the half and half Hawks jersey. It is nice to get both home and away in one package. Of course, it would look better if it was manufactured instead of homeshopped, but c’mon. It isn’t that bad, there are plenty of worse looking things in the NHL this year. That is a real product, not a photoshop. CCM made them for every team in the early 1990s as replica jerseys only. It was for the “fan who loved his/her team at home and on the road”… or some lame marketing phrase like that. They looked horrible because the striping never matched up. [quote comment=”234312″]I know that most people who read this will already know about the new NFL shield logo that they’ll transition to this offseason. I’ve been curious about when they’ll actually move to the design on NFL.com and, although it hasn’t happened yet, I did notice that in the upper right corner of the page, where you’re encouraged to “Follow the offseason on NFL NETWORK”, the Letters in the NFL Network’s logo are the new version. With my curiosity peaked I went to the main NFL Network page and found that the logo there hasn’t been updated yet. When they first revealed it, they said it would officially take effect at the draft in April. However, it has crept into a couple of places. I think the Pro Bowl MVP award had the new logo on it. Says they’re only making 107 of them. I bet they didn’t want to do 108 because they couldn’t figure out how to make the 8 right-side up. of the few times i remember claude posting, his contributions were quite informative. seems like a great guy. welcome claude! I like the concept of such a special edition car, but that Volvo sure is an ugly spud. I realize that Volvos are popular in that part of the country, but wouldn’t a Red Sox Mustang or the like have been cooler? [quote comment=”234326″][quote comment=”234314″]I’m probably the only one who thinks so, but I like the half and half Hawks jersey. It is nice to get both home and away in one package. Of course, it would look better if it was manufactured instead of homeshopped, but c’mon. It isn’t that bad, there are plenty of worse looking things in the NHL this year. When Ray Bourque was with the Avalanche, some industrious fans made 50/50 Avalanche/Bruins jerseys complete with name and number on the back. I thought that was cooler than the made up ones. Good for the OHL on the neck guards, I’m not terrified of another Zednik incident happening anytime soon but I still think neck guards are a good idea and should be implemented throughout the game. You have to wear them when you’re a kid anyway so why suddenly stop when you get older and into higher levels of the game? Posted this request the other day, but haven’t found what I’m looking for, so forgive me for my repetition: I’m doing research for an article, and I’m trying to find a photo of the Miami Hurricanes football squad arriving for the 1987 Fiesta Bowl dressed in combat fatigues. Almost every article about the game mentions this, but I haven’t been able to track down any photos yet. Any & all assistance would be greatly appreciated! I heard a rumor (maybe here?) that Zednick is already working with a company, Itech I believe, on designing an undershirt with a neck guard built in. I know that previous versions of these have been made, but those were largely for goalies, so I think the goal is to make them specific to skaters. Why do ncaa teams always get new jerseys around this time instead of in the offseason? If there’s one jersey worse than Georgetown’s brown/khaki/silver look, it’s Oregon’s all-black. But seriously. GTown has to have more class than that. 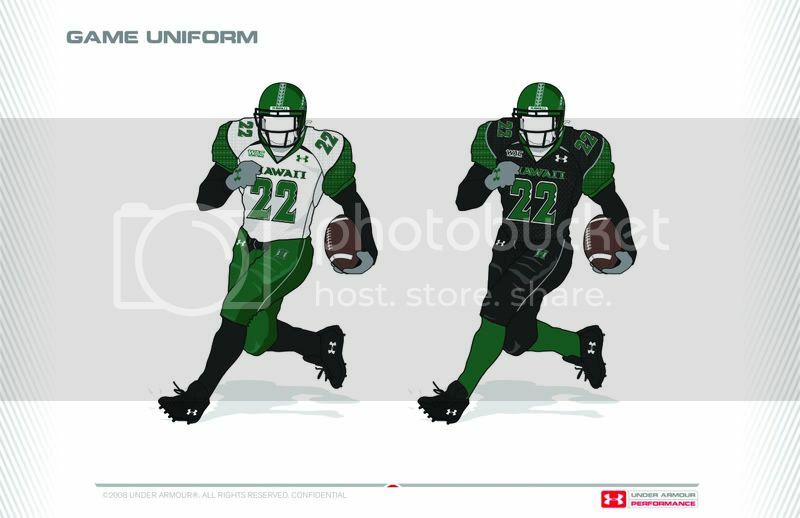 Of course, I thought the same about ND before they revealed that black and green jersey. And that Redskins typeface looks hideous on the Redskins jersey. Unfortunately, I think a few of these minds are working in the NFL and Reebok. Maybe the Skins can add some side-panel and piping? [quote comment=”234272″]South Dakota State played at Arkansas yesterday and wore some pretty sweet stripped stirrups. [quote comment=”234325″][quote comment=”234318″]Any idea what happened with obamaofdreams.com? Last year, a shitload of knockoffs turned up at MLS games in Chicago. People made Cuauhtemoc Blanco jerseys that were half Club America (his Mexican League team) and half Chicago Fire (his new MLS team). Because CA and Chicago have their badges on the same side of their shirts, the knockoffs ended up being wrong because they had one badge on each side. I swear if I saw one of those things at Toyota Park last summer, I saw 100. [quote comment=”234361″][quote comment=”234272″]South Dakota State played at Arkansas yesterday and wore some pretty sweet stripped stirrups.
. Kind of amazing to think that the Expos were more popular than, uh, anything. They used to draw 2,000,000 a year. They lost out on titles not once, but twice, because of labor strikes/lockouts. Add to it MLBs complete incompetence in selecting owners (Jeff Loria) and you have the ingredients to kill baseball in what was actually a good baseball town. Because unlike the pros, the NCAA apparently doesn’t prohibit teams from making mid-year introductions of new jerseys, alternates, etc. Also, rolling the new duds out at tournament time, when viewership is at its highest, makes it more likely that someone somewhere will see the jersey and go, “ooh, I want that!” Making the switch at the beginning of the year, nobody (except readers of this site) will notice the new jerseys because nobody will remember what they wore six or seven months ago. I too ordered a shirt, and I’m afraid I’ll never see it. Before the site was taken down, they also redesigned the Mariners (to remove the compass rose), and eliminated the Yankees (which incorporated the primary logo) altogether. Trouble from MLB seems the inescapable conclusion. My question to the NHL is this: if you made neck guards for goalies mandatory for goalies after the Malarchuk incident, why aren’t visors mandatory for players and officials considering the large number of eye and facial injuries seen in players? I understand neck guards for players are important considering Zednik’s injury, but the number of incidents that have occurred over the past 20 years involving eye and facial injuries is exponentially greater. If you do neck guards for the players, visors cannot be overlooked. [quote comment=”234370″]. Kind of amazing to think that the Expos were more popular than, uh, anything. Drew 2 million+ in 1979, 1980, 1982 and 1983 and would have in 1981 without the strike. Never cracked 1.8 million after that. [quote comment=”234287″]Those Georgetown SOD uniforms must be replicas. The size on the tag is shown as “XL”, and the Jumpman logo is next to the collar. They are. They have been available on Eastbay for the past week or so! [quote comment=”234369″][quote comment=”234361″][quote comment=”234272″]South Dakota State played at Arkansas yesterday and wore some pretty sweet stripped stirrups. At one time, #3 was involved in a sordid love triangle, but you can see how that ended up! An innocent stranger was injured in the ensuing melee! Paul, did a spam bot attack your main post today? The telltale “FREE!” crept in there. LI Phil is the leader in the clubhouse with this one. And as a proud Volvo driver until 15 minutes ago (I hate the *&^%$#!! Red Sox), I think the 8s would probably be right-side-up: Volvo is much more detail-oriented than the Sox’ equipment and facilities people. The Alouettes in the 1970’s were a different thing entirely. They spent most of those years in the Autostade, a goofy little futuristic stadium down by the river that had to be seen to be believed. Of course this was when the Expos were in Parc Jarry, which was equally weird. Very different times in Montreal – the Expos were new, Expo 67 was just ended, the Olympics were coming, and terrorists were blowing stuff up. Virginia and Duke men’s basketball went color-on-color last night. Holy cow. I think I strained pasta through that the other night. No joke. I never thought I’d see a facility stranger than Stade Olympique, but that contraption is close. Reminds me of one of those collapsible pot inserts for steaming mussels and the like. THAT’S what I was thinking of, thank you. [quote comment=”234352″]Posted this request the other day, but haven’t found what I’m looking for, so forgive me for my repetition: I’m doing research for an article, and I’m trying to find a photo of the Miami Hurricanes football squad arriving for the 1987 Fiesta Bowl dressed in combat fatigues. Almost every article about the game mentions this, but I haven’t been able to track down any photos yet. Any & all assistance would be greatly appreciated! [/quote]Ask Kellen Winslow II…he’s a F**KIN’ SOLDIER! Here is a pic of Testaverde in the fatigues. I know there is video somewhere of the team getting off the plane in them, I’m pretty sure I have seen it on ESPN. Going along the lines of NY Times articles about uniforms, there were a bunch of articles written on the choice of teal as the uniform color for the San Jose Sharks, which entered the NHL in 1993. Penn State and JoePa were NOT amused by the camo look! It reminded JoePa of his time in the Spanish-American war. [quote comment=”234401″]The Alouettes in the 1970’s were a different thing entirely. They spent most of those years in the Autostade, a goofy little futuristic stadium down by the river that had to be seen to be believed. Even goofier was that Les Expos were actually going to make the Autostade (the English translation “Automotive Stadium” was thankfully never used) their home when they started in 1969, to be filled in with seats to up capacity over 40,000 and possibly a dome. Problem was, it was too far out of downtown and, being near the river, was murderously cold in April and September. 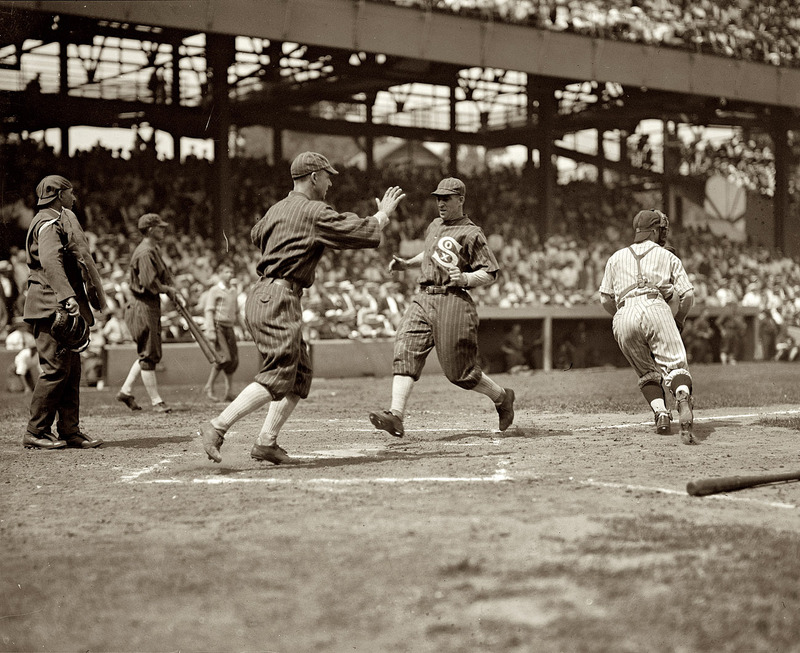 Parc Jarry’s baseball stadium, then a 3,000-seat muni field was chosen as a compromise choice between NL President Warren Giles and the Montreal mayor, and was made into a serviceable 29,000 seat stadium in the span of nine months. About the half-and-half NHL jersey, I knew a kid in high school who had a Stars version. It was based on the pre-1998 look, before the giant star design, and I thought it looked pretty strange. It probably would have been cool to combine the white and green star jerseys though. josh gibson and cool papa bell. Thanks, Chad — this is exactly what I was looking for. Been Googlin’ various combinations of Hurricanes/Testaverde/Cammo/Fiesta for a while now, but this somehow evaded my cyber-sleuthing techniques. I really appreciate your pointing me in the direction of this image. Beautiful spring training game on ESPN right now … Dodgers at Red Sox. Interestingly, the Dodgers are in spring training gear, but the Sox appear to be wearing official home unis. They are certainly not wearing the ST T-jerseys …. I hate the Yankees more than anything, but there is not a better look in baseball than the Yankee pinstripes with stirrups. green jerseys. I cant find any really good pics out there but the jersey was much more old school than even the past few years, complete with lace up front. My only complaint was the blue breezers dont match, but considering its a college team, I wouldn’t think they’d have the budget for special breezers for just one game. I happen to know an equipment manager and I’m trying to snag one at some point and will post a pic if I get it. The Yogi Berra pic – while still at the address linked to – is off the retired numbers page. Yeah, Yogi is now wearing a Yanks cap. Thanks for picking these up., they’re awesome! Can’t really figure out which is better, for now, i’m using the Jackie one as my desktop! Thanks again! Looks like Yogi’s picture has been fixed. Last night I watched the Badgers claim at least a share of the Big Ten basketball title, but at the awards ceremony I noticed that the championship hats and championship shirts are made by Majestic. Is this normal? Why would Majestic be making stuff for the Big Ten? Just kind of weird I thought since I never see their apparel on the basketball court, or anywhere but MLB for that matter. I’m sure you all saw the announcement of another long-time NFL stud retiring… Sean Landeta. Is this the end of the single-bar facemask era? Of course Morten Anderson will outlast Goerge Blanda but I can’t think of anyone else with the single bar? Depends, did Scott Player (and his Hulk Hogan moustache) get picked up by a team after the Browns released him? Check out this blog rating the author’s favorite sports logos. If you’re talking about the band on the left leg of the pants, I would be sad to see it go. I think that is a great idea, and it only works with Hawaii because of the culture of the state. Looks really good in my opinion. * Something I saw yesterday and couldn’t exactly find a spot for, but… Was in the Red Sox clubhouse yesterday and saw the cluster of spikes getting cleaned by the clubbies. Well, noticed one funny thing on the flap of one pair of spikes. On his, the Sox’s Jonathan Papelbon has “cinco ocho” written. Very nice. [quote comment=”234501″]Randy Moss may be signing with Pony. wow. this is pretty big news. it will be seriously tough for them to get into the performance game. Glad I came back to check on my comment. Can’t get the links to work! I was at the Blackhawks/Ducks game last night and Corey Crawford, our rookie goalie, had sleeve stripes that were consistent with the striping on the other-non goalies on the team. I wasn’t sitting close enough to get a good pic, but here’s one (or two) poached from the Sun-Times today. Just copy and paste if the link(s) don’t work. You can see the example on the first and second images in the gallery. i’ll almost guarantee that this fix was made exclusively due UWblog. either an exec picked up on it from the blog, or one of the readers contacted them directly. [quote comment=”234429″]Going along the lines of NY Times articles about uniforms, there were a bunch of articles written on the choice of teal as the uniform color for the San Jose Sharks, which entered the NHL in 1993. Ah, but the better “rejected” name for the team can be found here. A classic name sure to go alongside the Chicago Stinking Onions. That’s better than the people who were wandering around Denver in the half Larry Walker Rockies jersey/half Patrick Roy Avalanche jersey. [quote comment=”234544″][quote comment=”234501″]Randy Moss may be signing with Pony. I think they’re merely aiming for a niche at this point. Great news, regardless, as the company has been really directionless for years, and I’ve been a big fan of the brand because of the athletes who wore their shoes in the ’70s and early ’80s. I’ve snapped up several pairs of Ponys in recent years wondering how long the brand would even be around. However, today I’m rockin’ my fur-lined Vans SK8 His ’cause it’s cold outside. Yogi’s now wearing a Yankees cap, but the page still hasn’t been updated to reflect the fact that Phil Rizzuto is dead. Someone’s head rolled on this one, I’m positive of that. Someone’s head rolled on this one, you can be sure of that. Before these guys sign him..they DO know their logo will NOT show on field…….don’t they? [quote comment=”234559″][quote comment=”234501″]Randy Moss may be signing with Pony. Maybe he can get a tat on his tuchis of the logo, and then do this for real – now THAT’s exposure! Reggie Bush had a similar problem with Adidas. Bush would get fined every week for wearing an unapproved logo (the Adidas stripes on the shoes), but the company would pay the fine while attempting to get approval to be on Bush’s feet. I don’t think it’s a problem anymore. So I think Pony will do something similar. They eased up on Bush cause Reebok bought Adidas, and Reebok’s The Man in the NFL. I bet Pony will have no such luck. Morten Andersen wears one of those Terry Bradshaw style facemasks, which is a 2-bar design. Gotta love The Onion’s take on the MLB logo! For what it’s worth, I did that to one of my New Era caps, and I wasn’t pleased with how it turned out. Wasted that $25. If you don’t like a the Tom Glavine look, just go to a cap store and buy one that doesn’t have a crown, and it will be money better spent. THATS what I meant. heh. And from my own experience, I can’t recommend it highly enough. I’ve done it to about a dozen of my favorite caps, and the results are fantastic. This is the first I have heard about uniwatch coming to Seattle. I am definitely excited and plan to be there! Plus, I love Pyramid. Can’t wait for some Curveball Brew. It’s not just taking the structure stitching out, it’s about molding it to literally be your custom hat. My Yankees hat turned out so well, it only fits well with the brim forward because that’s how I molded it. If you have a polyester 5950, I might not bother because you will have to bake your hat in an oven to achieve the right temperature and maybe successfully mold it. The wool hats need only hot water from the faucet, and the success rate is almost 100%. But hot water runs the risk of the logo’s colors running. Cold does the same thing without color bleed. Getting it wet is the thing — not the temperature. [quote comment=”234548″][quote comment=”234429″]Going along the lines of NY Times articles about uniforms, there were a bunch of articles written on the choice of teal as the uniform color for the San Jose Sharks, which entered the NHL in 1993.